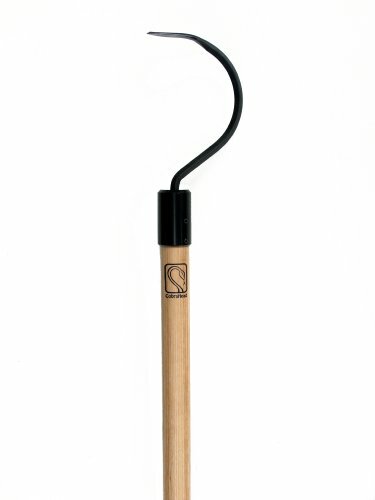 At CobraHead, we've constructed long-handled weeding tools that any gardener would love! We all love gardening for the opportunity to be out in nature, but it can become a backbreaking process. For some, the only way gardening and weeding is even possible is through our CobraHead® long-handled gardening tools. Stand up straight while you garden or weed by using our Long Handle Weeder and Cultivator. It uses the time-proven construction of the Original CobraHead® Weeder & Cultivator, but adds an ergonomic wooden handle to cover more ground. The CobraHead® Long Handle Weeder & Cultivator can perform most of the same gardening tasks as the Original CobraHead® and many gardeners will find it even easier to use. Save time and strain with a longer reach. The CobraHead® Long Handle is exceptional for cutting down big jobs. CobraHead® tools are built to last and can be counted on for years of service. Great for lawn or garden weeding and it rips through tough soil. No job is too big with the CobraHead® Long Handle Weeder & Cultivator. Generally most gardeners enjoy the 54" length and we typically recommend this size. Gardeners 5'2" and under may prefer the 48" handle, while gardeners 6'2" and taller may prefer the 60" handle. COMFORTABLE LONG HANDLE - Our recycled plastic handles are made for easy right or left-hand use.